There’s nothing quite like a rundown sleazy roadside motel when it comes to getting into all kinds of trouble. Deadly Movies adores a good motel setting for a horror film (there’s an article due in the coming weeks based on this), so here’s my Top5 Halloween movie motels. The Halfway Motel is a delightful little stopover. Here you may enjoy the true sights, sounds, and indeed smells of the US arid desert landscape. You may find your true horrors, and those who have visited before you, will be realized. Think Purgatory, but on holiday. 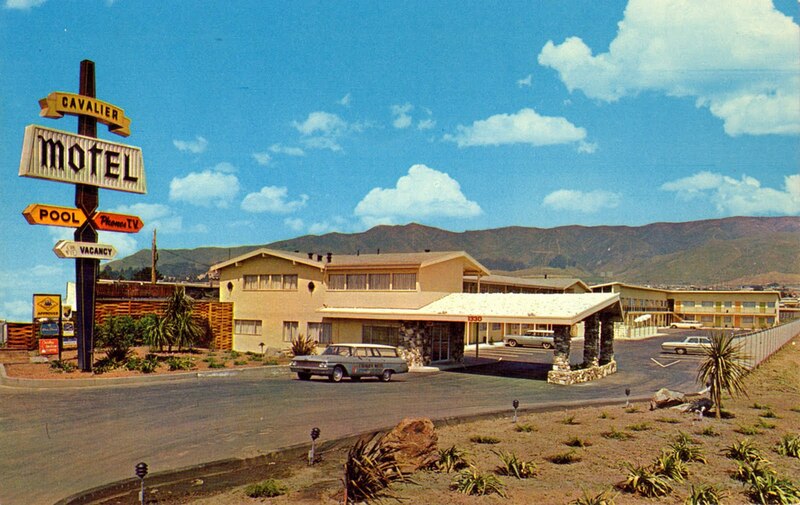 Ah Pinewood Motel, the almost divorced wife and I had a wonderful time here. If your relationship is on the rocks and you think snuff movies could bring you closer together, then this is the motel for you. Plus it has a second-to-none line in under ground tunnels. Meat’s meat and man’s gotta eat! that’s the philosophy of this little Rory Calhoun run family business. If you enjoy your man-meat on the rare side then this is the place for you. After all if farmer Vincent’s fritters aren’t the best you’ve ever tasted then you get your money back. Oh baby I had a great time here during a psychotic episode. If 12 Little Indians is your cup-of-tea then this is the place for you. Isolated and experiencing a bad case of perma-rain you’d be actaully mad (and I mean state committed mental) not to stay here. And by stay here I mean it’s an imaginary place where your split personalities fight it out. But hey at least one of them is Ray Liotta. And it’s imaginary, so it doesn’t cost anything! The greatest motel of them all. The highway may have passed it by, but if you need to lay-low for a few days, and possibly never resurface, then this is the place for you. The sandwich and milk selection is to die for, and the stuffed bird collection is a feast for the eyes. You’ll especially enjoy the fine bathroom facilities and branded towels. On arrival ask for ‘Mother’. Did you notice that the motel from Reeker and Identity are the same? What,no Kahiki Palms from The Devil’s Rejects? ?